Our engineers thought hard about this, and came up with these new models which feature the latest Intel “Kabylake” Core i series processors, a innovative technology with ASUS Splendid technology which has color temperature correction and Gamma Correction, with the Eye Care Mode on , it reduces blue light level with up to 33% and a ergonomic keyboard with a 1.8mm travel distance that makes it one of the best notebook keyboards to type on. The fact that these are also the most affordable ASUS notebooks enhances their value even further. USB Type-C: It is incredibly frustrating when you accidentally plug in a USB cable the wrong way. In worst cases, you may even damage the port itself. The new USB type-C connector was designed to solve this! It can be inserted in any orientation and will be found in future devices. And don’t worry. It is compatible with older USB devices with adapter dongles. You’d hardly believe it when you see their great designs, but the VivoBook R558UQ are among Asus most affordable models. Comprising of elegant looking brushed metal-effect finishes, comfortable ergonomic keyboards, classy tapered chassis and four sophisticated colors to choose from, these thoughtful design factors make the VivoBook R558UQ look great and a joy to own and use. The displays of the VivoBook R558UQ are Full HD, 1920 x 1080 in resolution. This high resolution makes images clearer, and fonts look sharper. Higher resolutions also allow more content to be shown - like additional screen icons or cells of a spreadsheet. The displays also feature ASUS Splendid technology that lets users optimize settings easily for more vivid colors and reduced eye strain. Together, the Full HD resolution and Asus Splendid technology make the displays great for watching Full-HD movies; or simply for working or surfing on. Color Gamut Management: Produces accurate and life-like colors by regulating color through new panel technology and system software. Color Temperature Correction: Automatically adjusts images to present more accurate colors and avoids images with color temperature extremes. 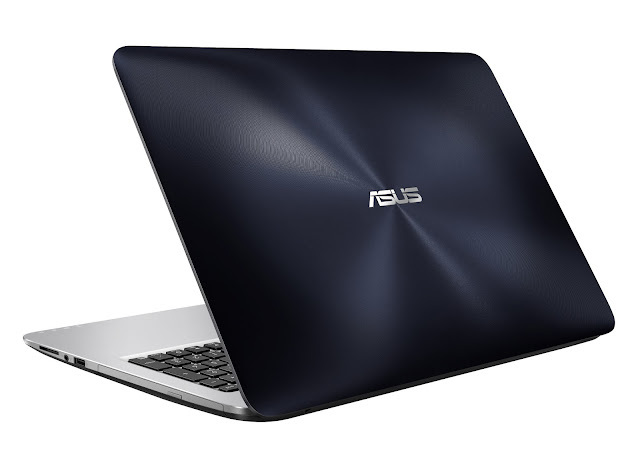 Watch a video on an ASUS notebook and be pleasantly surprised by its clarity, color, and contrast. That is ASUS’ Tru2Life video enhancement technology at work. ASUS Tru2Life Video is an exclusive technology that works like those found in high–end TVs. It intercepts video signals being sent to the panel, then analyzes every single pixel in every frame to optimize its brightness, contrast, color and sharpness, before sending the frames for display. It’s like a professional video editor tweaking every video frame in real time before letting you see it! The result? Colorful, vivid, sharper videos with as much as 200% improvement in contrast. A mixture of hardware, software and tuning, Sonicmaster was developed with the clear goal of giving you the best notebook PC audio. A professional codec ensures precise sound performance; while an optimized amplifier, large speakers and resonance chambers deliver powerful audio output and deeper bass. Additional signal processing helps fine tune the hardware , filtering noise and improving clarity so you can enjoy unrivalled audio on your Vivobook series. Audio Wizard helps you fine tune your audio through six pre-set modes. Its simple and intuitive interface lets you switch instantly between these modes to get the best audio for any content, in any environment. Or if you prefer, take full control of settings manually. Music mode brings your favourite songs to life, while Movie mode gives you cinema-quality audio. Recording mode optimizes settings so you get crystal-clear recording. Gaming mode fully immerses you in the game, while Speech mode ensures clearer dialogue. The keyboard’s keys have been designed with a much longer travel distance of 1.8mm - versus the 1.6mm of most conventional notebook keyboards. This longer travel distance replicates the typing experience of a conventional desktop keyboard, making each key strike assuring, precise, and above all, comfortable. The touchpad of the VivoBook R558UQ meets Microsoft’s stringent Precision Touchpad (PTP) requirements, and supports intuitive multi-point and multi-gesture inputs that are compatible with a wide range of applications. ASUS designers have created a unique technology that reshapes the internal layout of notebooks in order to address palm rest heating issues. IceCool technology prevents heat build-up on the palm rest to maintain a temperature range of 28ﾟC to 35ﾟC, significantly lower body temperature to make it ortable for users. The Asus VivoBook R558UQ has a Lithium Polymer Battery which gives upto 700 charging cycles which is 2.5X more life span than the regular batteries.